In PR 2.0 Deirdre Breakenridge examines how to build upon the foundation of the Web-based approach to public relations to incorporate not only new technology, such as streaming video and more advanced database systems, but also to embrace social media as an integral part of an effective public relations effort. Gone are the heady, Wild West days when it seemed like everyone you knew was learning how to use e-mail one day and setting up a dot-com the next. Gone, too, is most of the sting from the subsequent dot-com implosion. What remains are tried-and-true online technologies and techniques as well as a slew of valuable lessons learned. As the Web emerged from its infancy, along with it came a new approach to public relations: PR 1.0, built upon the traditional tools of public relations and incorporating valuable Web-based resources, such as e-newsletters, viral marketing, Webcasts and Webinars, to take advantage of the Internet’s speed, flexibility and customization. In PR 2.0, Breakenridge examines how to build upon the foundation of the Web-based approach to public relations started in PR 1.0 to incorporate not only new technology, such as streaming video and more advanced database systems, but to embrace “social media” as an integral part of an effective public relations effort. Social media encompasses things such as blogging, podcasting, YouTube and its viral videos and social networking phenomena like MySpace, LinkedIn and Facebook. Much of the social media’s content is now produced by ordinary people — consumers — who consider themselves “citizen journalists.” Social media have also given rise to a new set of technologies, such as RSS feeds, which are designed to alert users when a favorite blog, Web site or podcast has been updated. Breakenridge examines each of these new resources through a public relations lens, discussing how public relations professionals can use them to achieve higher levels of success. Her topics range from researching the journalists and editors who will be researching your company to how to get executives on board with blogging. She presents a strong case for public relations that significantly departs from the traditional approach of the press release and media contact list. Instead, she encourages companies to build a brand presence online through blogs, MySpace profiles and unique video content. Of course, Breakenridge sees value in the old-fashioned press release, but she advocates a deconstruction of its format to transform it into a “Social Media Release,” which offers a complete menu of information and resources that media representatives can use to build their own stories. 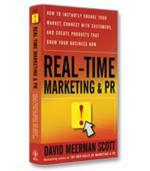 PR 2.0 offers a comprehensive look at how businesses can begin implementing this new approach to public relations. 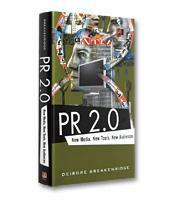 Breakenridge discusses how to use already familiar Web-tools such as e-newsletters and viral marketing within the new system of social media and then guides her readers through an in-depth examination of the newest, and most likely unfamiliar, components of PR 2.0. Each chapter features examples of how companies and public relations professionals are implementing these new approaches, as well as an interview with an expert on the chapter’s subject. Breakenridge makes a point of stressing throughout her book that each individual adopts technology at his or her own pace. In recognition of this fact, she provides some basic steps to help readers familiarize themselves with each aspect of social media. “PR 2.0 is not just about good communications,” she writes, “it’s about finding the path to the conversations.” In PR 2.0, Breakenridge provides an excellent map to help her readers begin finding that path.